Ienatsch is well-known to Cycle World readers as a contributing editor; he was a full-time racer and still races for fun. He is also the lead instructor at Freddie Spencer’s High Performance Riding School. 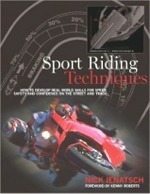 This book is loaded with excellent tips and techniques that can help make you a better rider on the street and track. 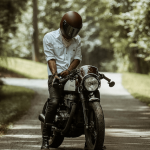 Learning about motorcycle riding should be a continuous process — there’s always more you can and should know. This book is packed with information and excellent photographs; some of the information has been told before, but it is presented in a more logical and easier to understand format. It starts out with the basics (“Braking and Steering”) and continues through track and street riding techniques that can make your ride more fun and safer at the same time. Highly recommended!